Is life making you so dizzy that you’re forgetting what’s most important? Though hurry-up is part of the human dilemma and certain seasons bring more of it than others, if it becomes a lifestyle you might find yourself on the slippery slopes of bitterness, sadness, and depression. Patsy’s hope is to help her readers maintain a dynamic view on life—with activities and choices that lead to renewal and peace. 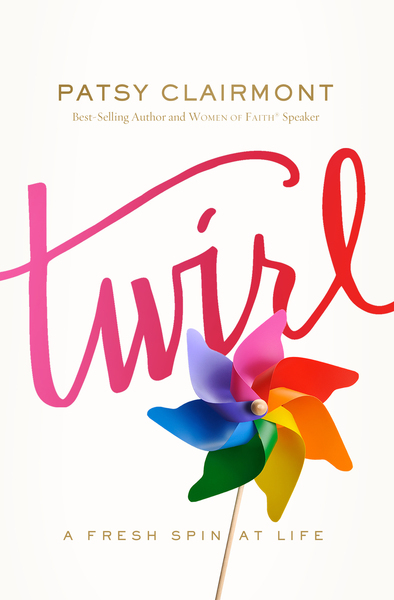 So take a little stroll with Patsy Clairmont through Twirl, and allow her unique perspective and deep well of biblical wisdom to realign your spin on life.